I’m working on a custom order: Flamingo Calligram Cards, screen printed in purple on orange handdyed fabric, finished with a turquoise satin stitch. I like them! (in my Etsy shop the Flamingo is available in black on white and black on pink). 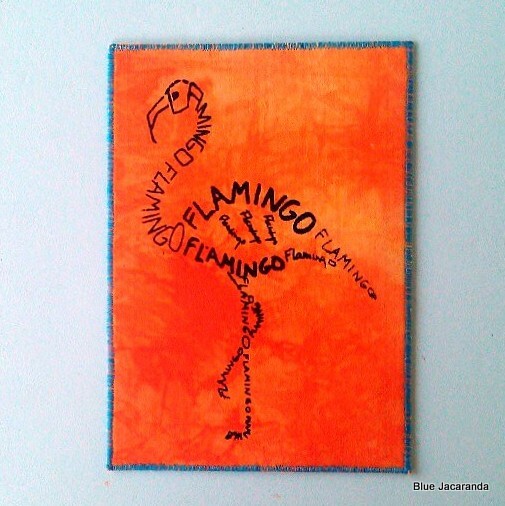 This entry was posted in Screen printing and tagged calligram, flamingo on May 7, 2013 by bluejacarandadesign.